The Iranian opposition leader described the recent protests in Iran as a nationwide movement against the entire clerical regime and a turning point that will lead to replacing the ruling theocracy with a democratic government. Rajavi addressed a conference at the office of the NCRI in the northern suburb of Paris, attended by dozens of European parliamentarians and human rights luminaries and activists on Friday. The anti-regime uprising that spread to 142 cities and towns throughout Iran in late December and January shook the regime to the core. According to the network of the People’s Mojahedin Organization of Iran (PMOI/MEK) more than 8,000 people were arrested during the uprising.  The PMOI is the principal Iranian dissident movement and the key constituent of the NCRI. Last week, a member of the mullahs’ parliament, quoting the head of the National Prisons Organization said 4,972 arrests had been registered. Parliamentarians supported the call by the opposition leader and stated that European countries should adopt effective measures and binding decisions to compel the religious dictatorship to release the prisoners of the uprising, uphold freedom of expression and association, end repression against women and lift the compulsory veil. They called for the establishment of a United Nations International Committee to investigate the situation of the detainees and missing people in the wake of the uprising. Noting that the Iranian regime’s suppressive entities and the supreme leader benefit from trade with Europe, the parliamentarians said Europe should stop trading with entities affiliated with the Iranian Revolutionary Guards (IRGC) and other suppressive organs. They further recommended that the release of prisoners and the suspension of executions be made a condition for any expansion of diplomatic and trade relations with Iran. Ms. Ingrid Betancourt, the renowned human rights activist who was presidential candidate in Columbia and was a hostage for several years, was among the dignitaries who addressed the conference. Mrs. Rajavi said the protests were based on the regime’s failure to resolve the most basic social problems while financial, political and judicial corruption engulfed the regime. She stressed that slogans and chants like “Death to Khamenei” and “Death to Rouhani,” and “Reformists, hardliners, beware that the game is over,” indicated that the protesters seek regime change. She underscored the prominent role of the deprived people in the protests and said women played a key role as the main victims of the Islamic fundamentalism ruling Iran. According to Rajavi, the protests were organized. She cited the fact that the popular slogans reflected the desires for which the Iranian Resistance has been struggling for years. The mullahs’ supreme leader, Ali Khamenei publicly acknowledged on January 9 that the PMOI had begun organizing the protests months earlier. Iranian President Hassan Rouhani called the French President on January 2 and said the PMOI were behind the recent incidents in Iran and asked him to restrict the activities of the NCRI, which is headquartered outside of Paris. According to the opposition leader, 50 people have been killed in the crackdown on protests so far, including a dozen who died under torture, but that has not stopped the population from protesting. She said that after two weeks of relative calm, various Iranian cities again saw protests on January 31 and February 1, with the same slogans that decried the regime in its entirety.